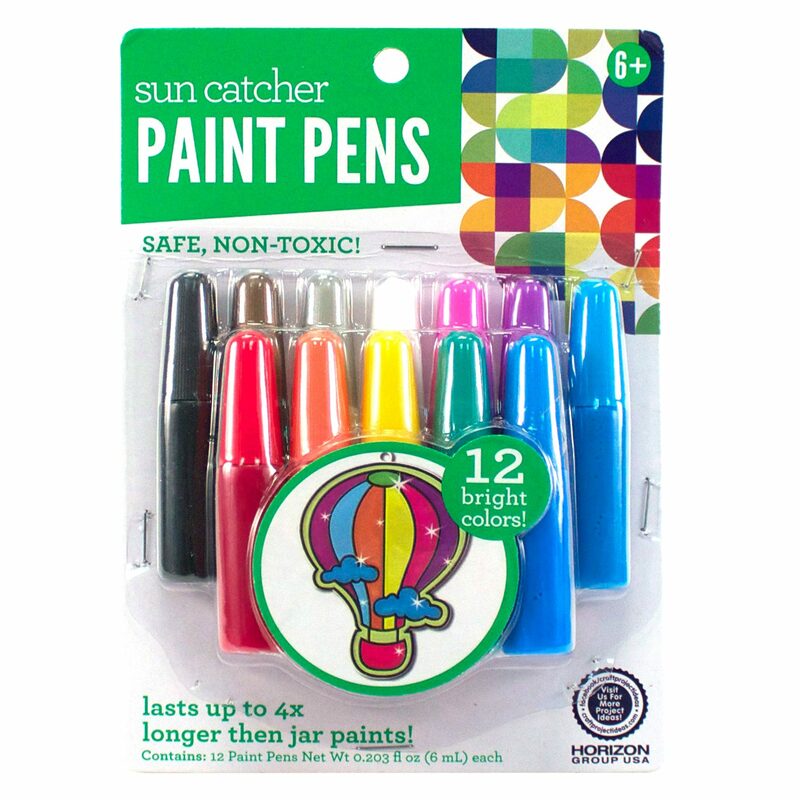 Suncatcher paint pens make painting suncatchers fun and easy with less mess. They come in an assortment of 12 bright colors. These are great for a beginner artist!